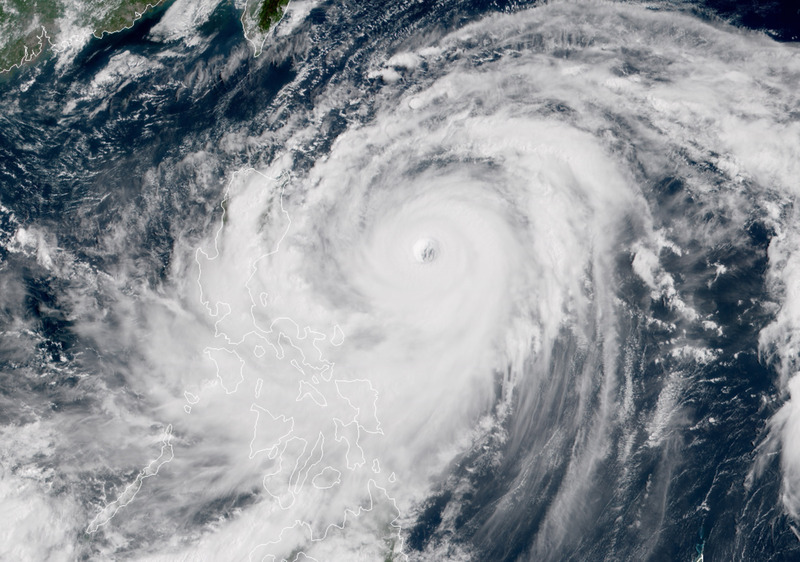 Super Typhoon Mangkhut update: 6:30am PHT 15th Sept 2018. 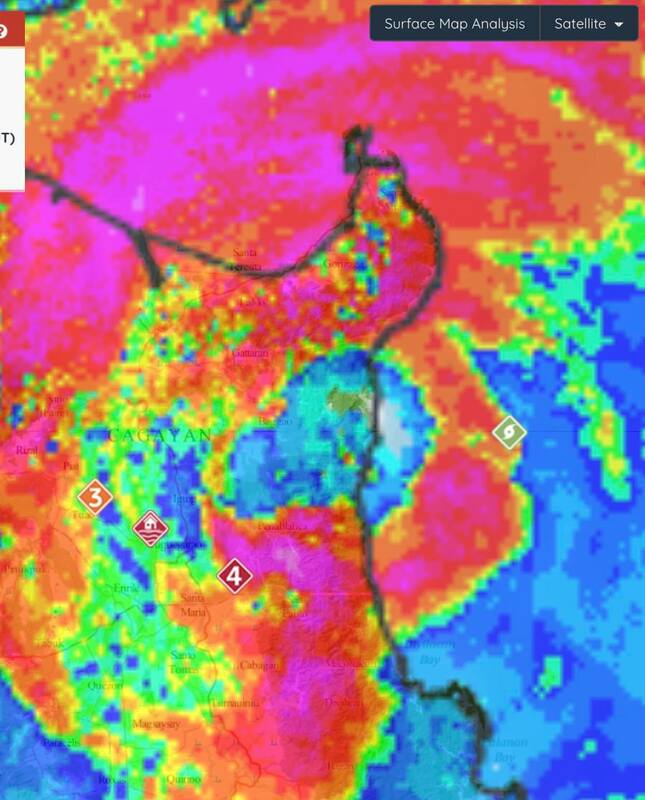 The system is still travelling west across Northern Luzon with extreme heavy rain and damaging to destructive winds. Flash flooding and river flooding is also a very high risk. As Mangkhut continues to move west today severe weather conditions are forecast to ease (rain and winds) from around 6pm local PHT time this evening. Stay safe everyone it’s going to be a long day! 4:30am PHT 15th Sept 2018: Super Typhoon Mangkhut (category 5) has made landfall across Northern Luzon, Philippines with wind gusts of around 300km hr. 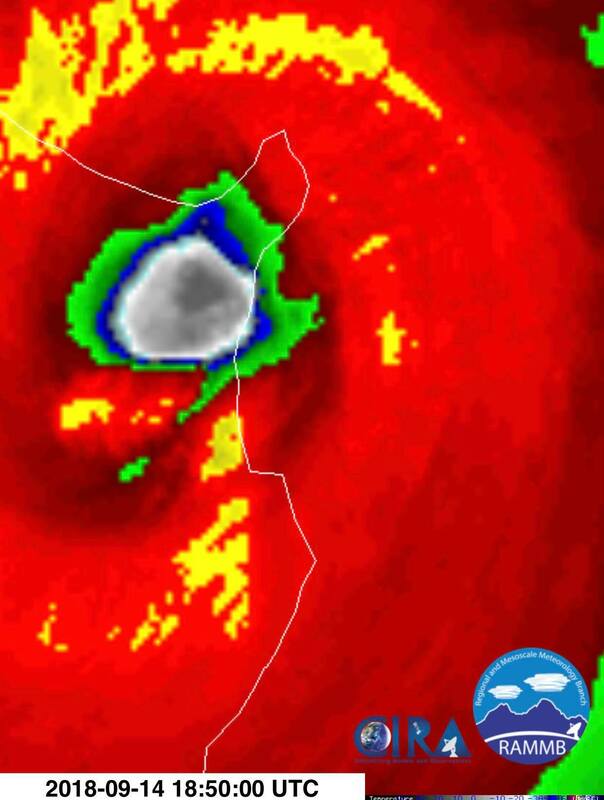 Our thoughts are with people who will have experienced many hours of terror and destruction including Josh from iCyclone who managed to get into the eye wall. It may be many days before we here of reports from the area. Super Typhoon Mangkhut is forecast to continue heading West before slamming South East Asia (just West of Hong Kong) tomorrow (Sunday). 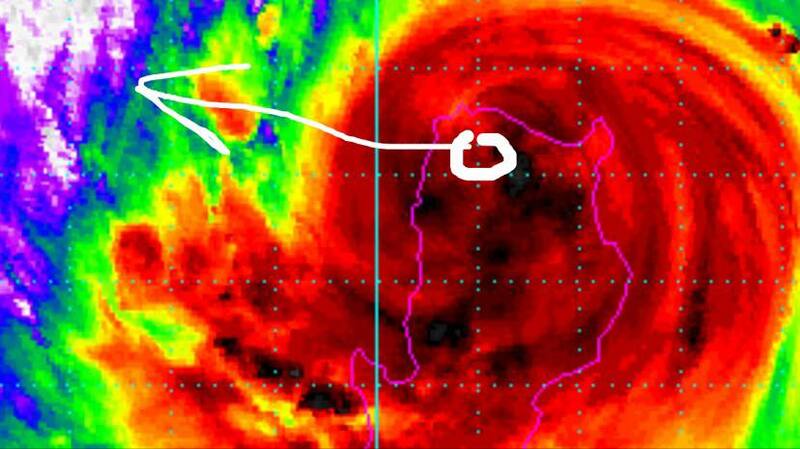 Hong Kong may experience winds of 150km hr maybe even 200km hr from the system. 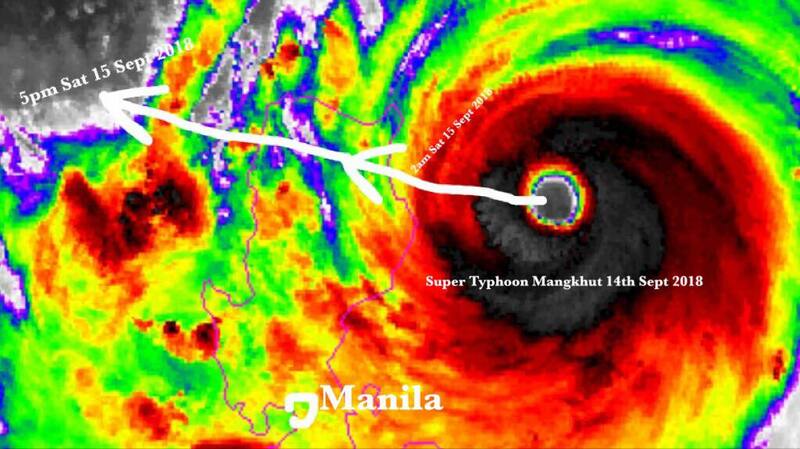 ***IMMEDIATE LIFE THREATENING*** Super Typhoon Mangkhut update 10pm AEST 14/9/18: Landfall is now due in 6hrs or at around 2am Saturday 15th of September Phillipines local time. Northern Luzon brace for Super Typhoon (category 5) impacts tonight with very destructive wind gusts to 325km hr, extremely heavy rainfall leading to dangerous flash flooding and river flooding, dangerous storm surge with coastal inundation. Power, water and communications failure imminent. Taiwan and from Manila SOUTH are outside of the forecast Typhoon impact zone. This system poses a deadly threat to Northern Luzon and the nearby Northern islands with VERY destructive winds, heavy rainfall, flash flooding and river flooding along with significant storm surge. VIDEO UPDATE 14/9/18: Violent Deadly Super Typhoon Mangkhut (High category 5 system) to directly impact Luzon, Philippines within 18hrs!